Multiple choice game on possessive pronouns. The present downloadable handout is a great resource for high school students, elementary school students and adults at Pre-intermediate (A2), Intermediate (B1) and Upper-intermediate (B2) level. 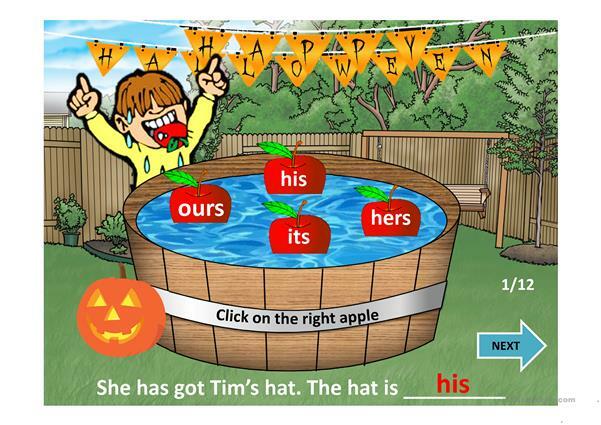 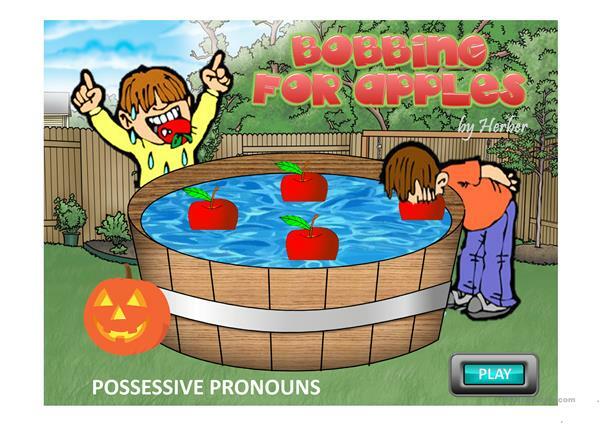 It is valuable for practising Personal pronouns and Pronouns: Possessive pronouns (e.g. my, mine) in English, and is a valuable material for developing your pupils' Speaking and Reading skills. It centers around the topic and words of Halloween. It includes the answer key, too.